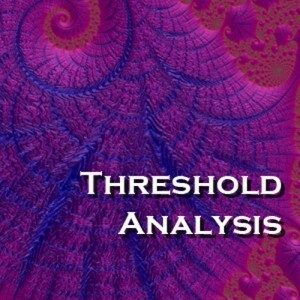 There are two main types of threshold analysis services from SIL. The first of these is usually done for an operating organization or customer. In this situation, as systems grow and mature the processing requirements for the operation of that system can change dramatically. SIL applies its large heuristic database and proprietary AI processing to build an understanding of the critical limitations for that growth. With a SIL study, the significant risk and growth decision milestones are mapped well in advance. This enables better management and cost containment, since surprises in these areas are never good. The second type of threshold analysis that SIL performs examines the viability of an application or architectural choice within an organization. In this case, the threshold being examined is that of feasibility – whether, for instance, a possible COTS product will perform and work for the size and configuration of the organization that is considering its purchase. With SIL's assistance, the potential scaling limitations on your applications will be open to strategic planning rather than rushed tactics.